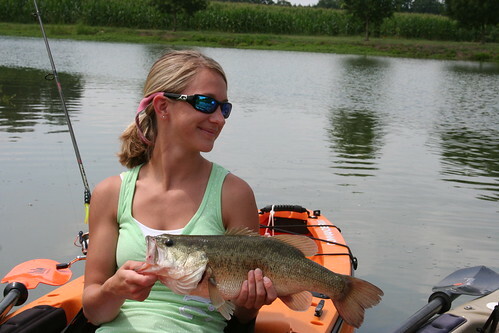 Well we can tell one thing for sure from the pictures...........She likes to fish and appears to be pretty good at it! she is using steez casting reel on yhe first pic! So why don't you kiss her and make her more than just a freind. There is more to life than fishing. If you are not kissing, you are just wishing. A chick who can bass it up. Now that's really rad. Location: Bonita Springs / Lake Placid FL. 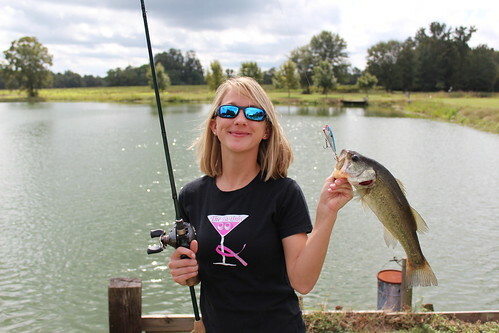 Nice catch (and the fish ain't bad either). Fish 5, young lass catching said fish 10. Nicely done to you and her both! Pond or small lake? Looks like some good cover.